This is Part 2 of a 15 part Series on how I think life will look like in 100 year assuming Global Warming is in effect. Some Parts refer back to earlier Posts in this Series. In one hundred years, if we have managed to survive, I trust that we would have evolved to become far wiser in the manner in which we treasure Sustainability and the utilization and management of resources. We will be in a perpetual battle to overcome the effects of Global Warming. Hopefully by then we will have learned to stop our part in it and perhaps reduce the full effects of its wrath through technology and restraint on greenhouse gases. Technology will be a dominant part of life one hundred years from now. Robotics and the world of so-called computers (the traditional computers will obviously be obsolete) and technology will have advanced far beyond all but a few Start Trek gadgets. I believe that a Holodeck like technology as seen in Start Trek will exist with some of the sensory perceptions of reality. This will be far more popular than texting is in our generation today. Keep in mind that one hundred years is about three generations. I will elaborate more on this in future posts in this series. 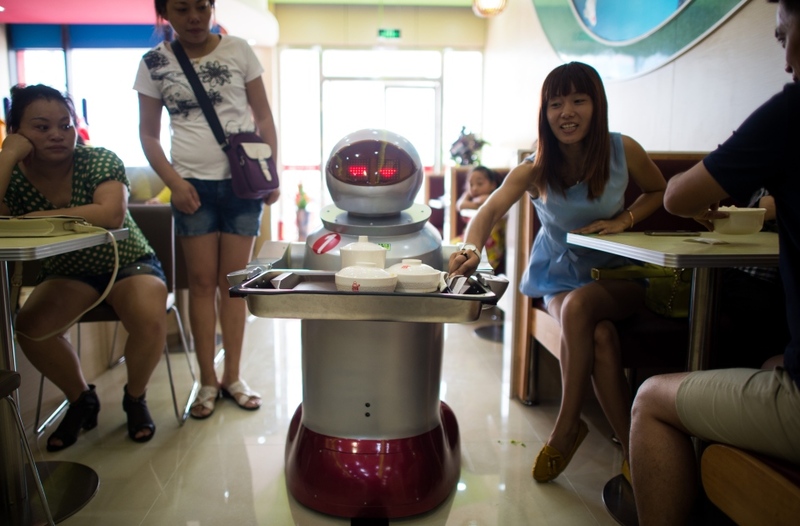 Robotics will do many if not most of the jobs of labor and services people do today. It will totally change the way we live our lives. So called manufacturing will be totally dominated by automation and robotics. Services of all kinds will be totally mechanized. Even the advancement of technology will largely be driven by the computers of the future. Computers themselves will probably be organic instead of digital. Robotics, mechanization, and artificial intelligence of the future will be essential for doing precision, complex, and creative designs and tasks, never tiring and capable of working under extreme and hostile conditions. Man will live to freely pursue other things such as the very wealthy did at the turn of the twentieth century. Technology will build and maintain our living quarters, transportation networks and infrastructures and provide us with most of the goods and services we need to live. It will provide for food, water, waste, energy, communications, and the numerous things needed to live safely and comfortably in the most efficient manner in a resource lean and hostile world. Entertainment will use technologies such as the Holodeck. Due to the lack of available natural resources and the harsh environment due to Global Warming the efficient utilization and recycling of resources through technology will be essential for the sustainable survival of our species. Technology will also be used to prepare for the distant future such as preserving other species of animal and plant at the cellular level for the day when the effects of Global Warming have diminished to the extent that such species will be able to survive again. Hopefully by then our human species will have learned to live in peace and harmony with nature. But perhaps that might be too much to expect in the very distant future. I will not discuss the possibility of placing colonies of people on other planets or moons. This gets too much into the realm of science fiction. But it is also a possibility. This entry was posted in 100 Years, Environment, Global Warming, Life's Lessons, Personal Perspective, Science & Technology and tagged cultural changes, future city design, future technology, Global Warming, holodeck, infrastructure, over population, shortage of resources. Bookmark the permalink.